This fabulous dia de los Muertos platter would be great for your appetizers at your next party! 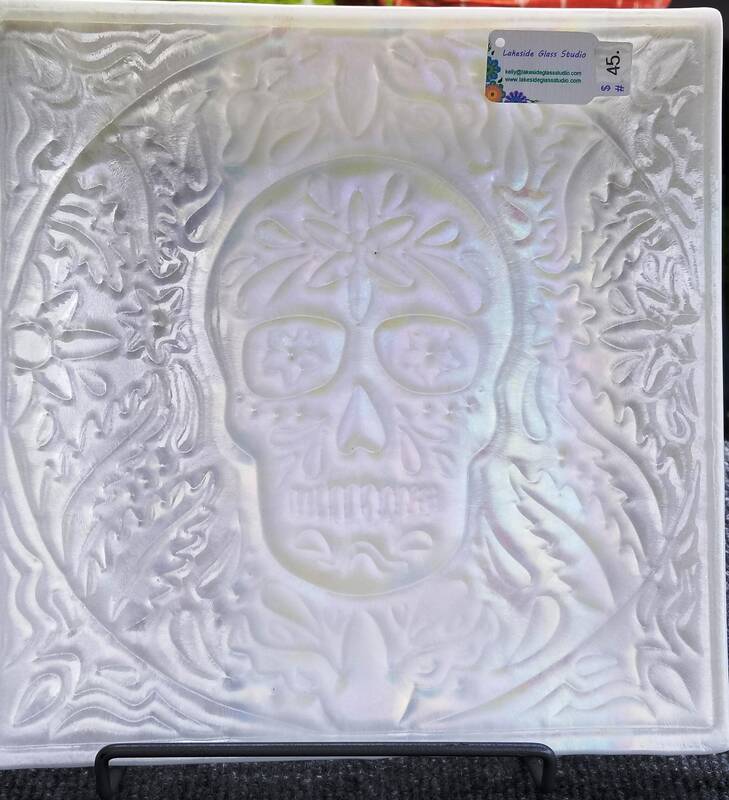 It measures 10" square and is white iridescent. Whether for display, or for serving - this one-of-a-kind dish will stand out in your decor! Please don't put it in the microwave or dishwasher, even though it was kiln annealed in my digital kiln to ensure a long and happy life in your collection.